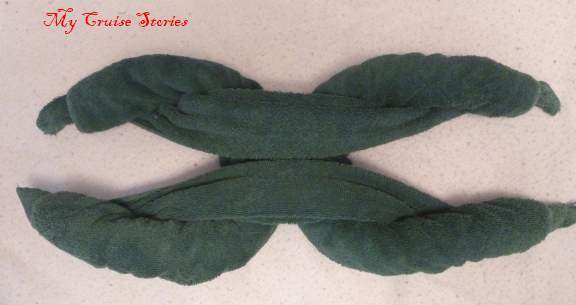 The turtle takes the standard towel animal body, same as many other towel animals. 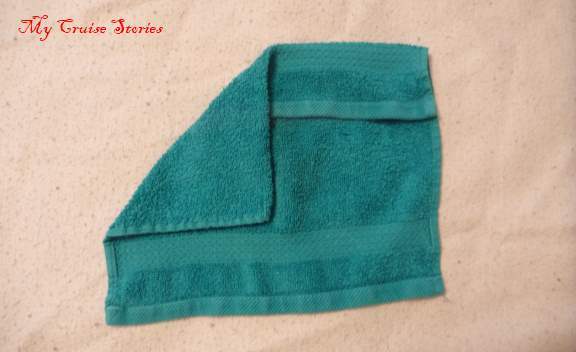 Lay the bath towel out flat. Roll both ends to the middle. 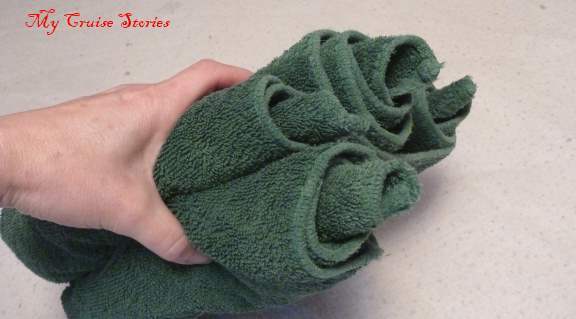 Fold rolled towel in half, rolls to the outside. Pull the tip out of the end of each roll. 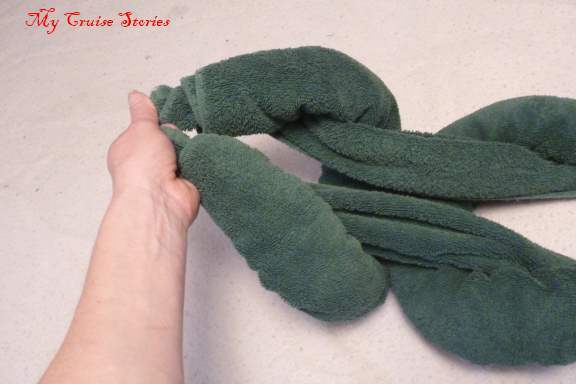 Take the two tips that are the ends of one roll in one hand and the tips that are the ends of the other roll in the other hand and pull all four at once until the rolls pull into legs. 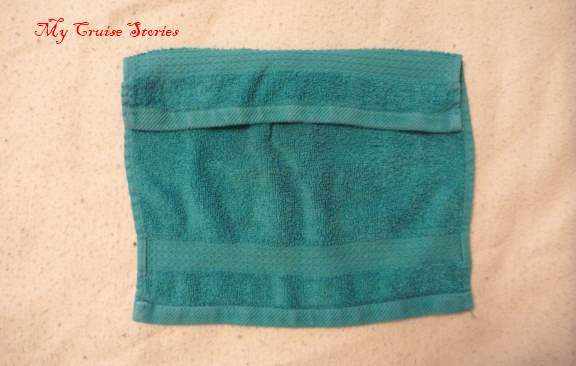 Lay the hand towel out flat. 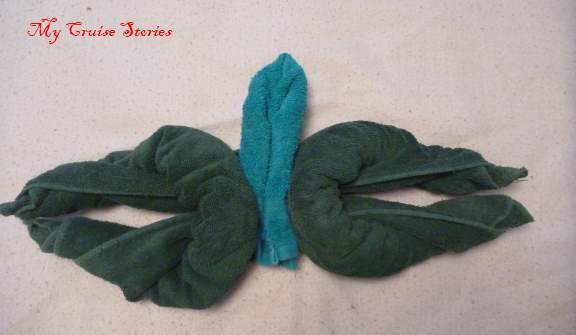 Fold in half the short way across the middle. 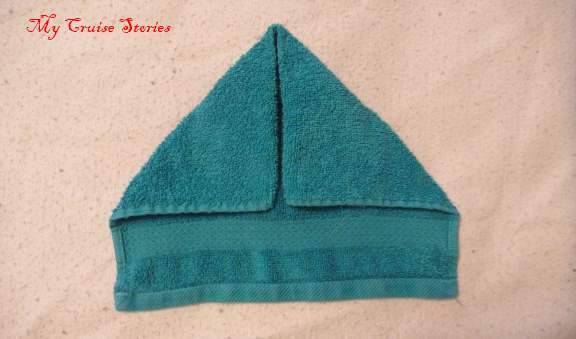 Fold in half diagonally so it looks like a triangle. 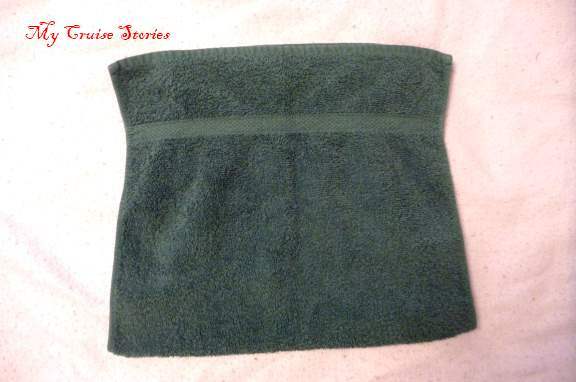 Lay the washcloth out flat. 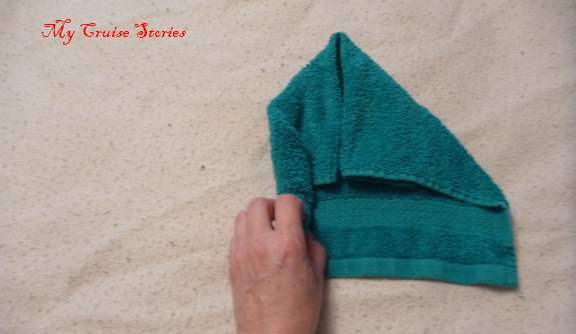 Fold one end down a couple inches. 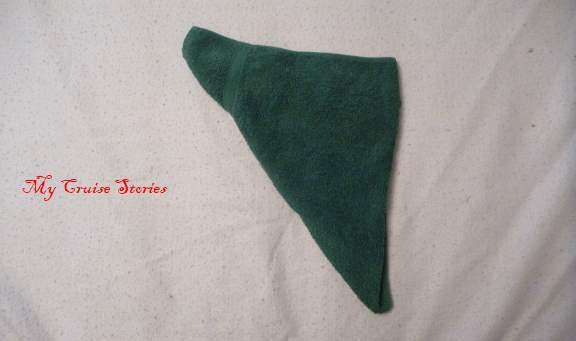 Fold both corners down from the middle of the folded end turning that end pointy. Roll both sides to the middle at the same time. Shape the pointy end into the head and make sure the rolls of the neck are tight. Set head on top of body. Drape the shell over the head and body. Tuck the ends of the shell in at the back and sides and decorate with eyes. Bits of paper, cloth or felt work for eyes. Googly eyes work well too. 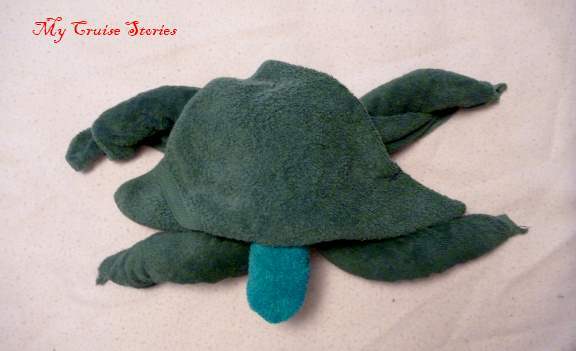 For a different way to assemble the turtle, turn the body over and nestle the head between the leg rolls, then flip it back over and put on the shell instead of putting the head on top of the body before adding the shell. 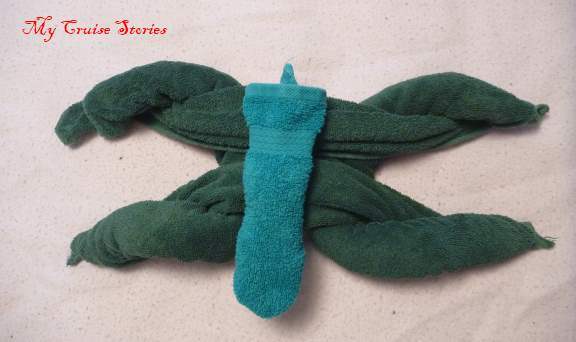 For instructions on folding other towel animals check out My Cruise Stories Towel Animal Page, where clicking on any photo brings you to a blog with instructions on how to fold that animal. 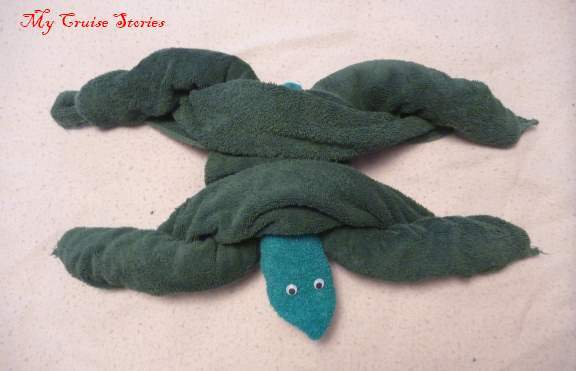 This entry was posted in Towel Animals and tagged crafts, how to make cruise ship towel animals, photos, towel animal folding, towel animals, towel art, towel origami, towel turtle, video. Bookmark the permalink. Talent with a towel! Awesome! I like yours better than the ones on the ship because yours are always the right colour! Unless of course if I don’t have the right color, like the blue elephant. 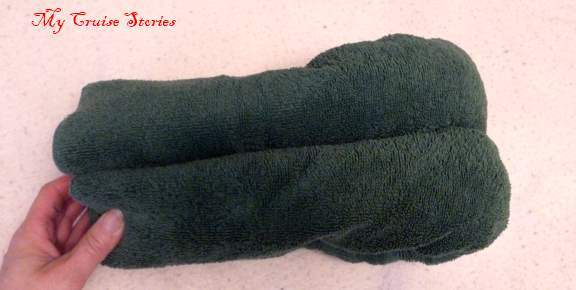 Of all the towel animals I have seen I don’t think I have seen a towel fish yet. 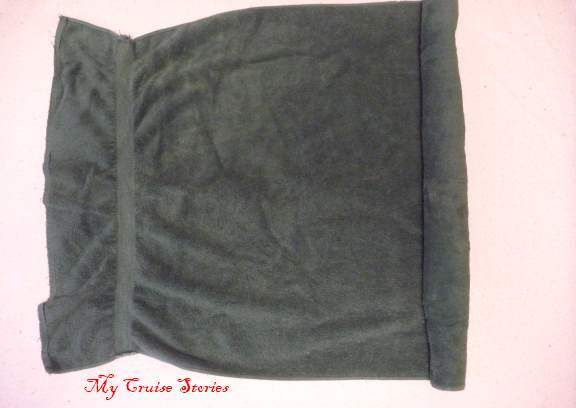 With cruise ships being in the water and all you would think that would be one of the first towel animals to see. If you don’t know of one yet maybe you could invent it. We had a stingray one day.